This week we are taking aim at the Target Sports program at Camp Towering Pines. 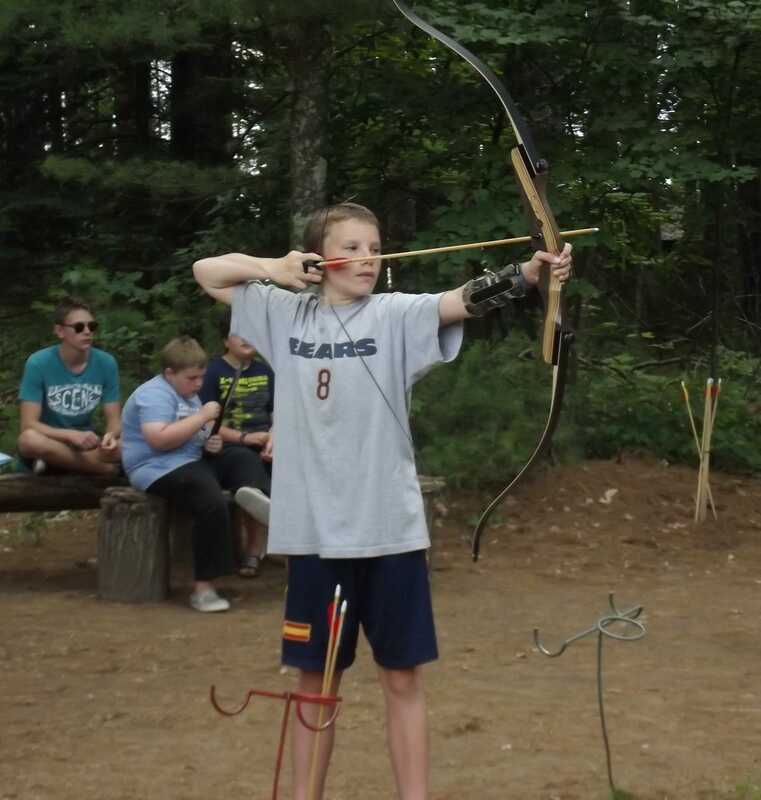 Archery, Riflery and Trap are popular activities at camp – there are 11 total classes offered for 3rd sign-up! If we head up to the range, these individual sports provide opportunities for many skills to be practiced and developed beyond shooting either a bow and gun. Success at the riflery range relies on the ability of the shooter to simultaneously focus on the target and his position. Campers learn to hold their breath as they take aim and shoot. They also work on using the strap to stabilize and provide correct placement of the gun. 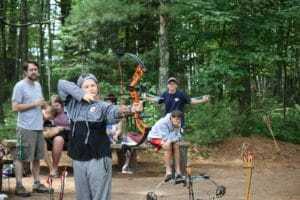 In time and with the help of Instructors Rodrigo, Jackson, Cantu, Diego, and Rob as well as CIT assists Alec B., Marcos E., Alex P., and Cristobal M., campers find the right position that stabilizes their elbows to give a steady aim. Campers also learn how to score their own targets so that they can keep track of their progress. At Towering Pines, there are 14 levels in the riflery program that provide a graduated challenge of distance and accuracy at four different positions. 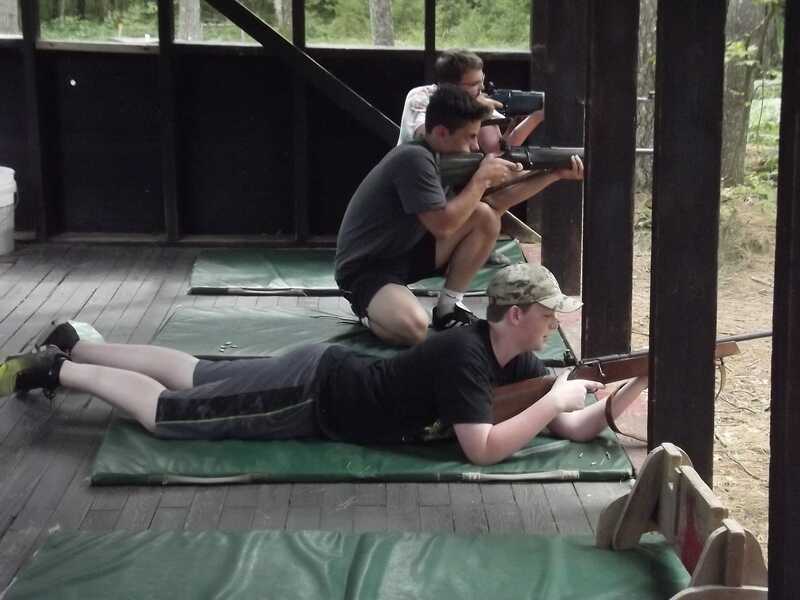 Campers begin learning to shoot in a prone position and then progress to sitting, kneeling, and finally standing. 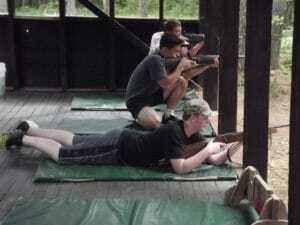 To pass the first level (Pro-marksman) campers must score 20 points from the prone position. Accuracy increases by 5 points at each level until 40 points is reached for the various positions before advancing. The final rank in Towering Pines’ riflery program is Expert, where a camper works to shoot from 50 feet a score of 40 from 5 shots. It takes a lot of patience and persistence over the course of multiple years to reach this goal!! There is also one period of trap offered at TP. The campers get to learn the unique skill of making their own shells. Currently, there isn’t a ranking system for trap, but this is something that the instructors are considering for the future due to the continued interest in the sport. Once again, there is great focus involved in trap as well as requiring quick and accurate reaction time. In trap shooters try to shoot a clay pigeon from whatever direction it is released. 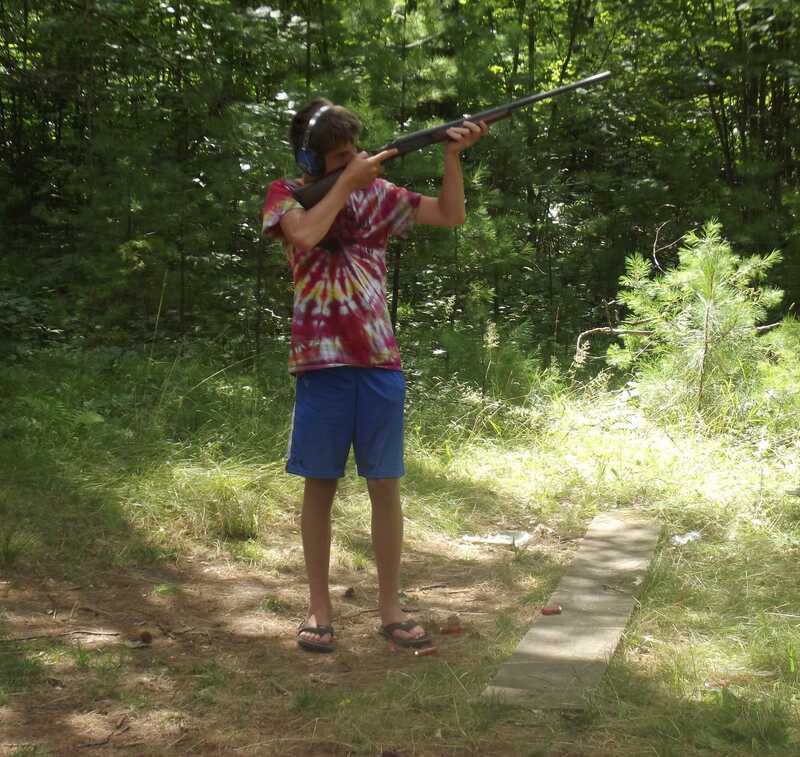 The goal is to shoot as many pigeons as possible, and the score is based on how many pigeons are hit out of the number at which the camper shoots (Example: 8/10). Trap is all about working toward a personal best while at the same time competing for a higher score than one’s opponent. There is also the opportunity for archers and rifleman at TP to have friendly competitions with Camp Woodland and Camp Red Arrow. The trap team also has the opportunity to attend the RAC competition.